Volkswagen is preparing plans to fix up to 11 million diesel vehicles worldwide to ensure they comply with pollution limits. The company said Tuesday that it would tell customers soon whether their cars needed a refit, but it stopped short of announcing a recall and gave few details. Volkswagen (VLKAY) has admitted rigging diesel emissions tests for 500,000 cars in the U.S., and has been accused of similar practices in Europe. The scandal has rocked one of Germany's biggest companies, wiping out more than a third off its market value. Regulators could impose fines totaling billions of dollars. Customers, dealers and investors are lining up to sue the company. German prosecutors are investigating whether Martin Winterkorn, who resigned as Volkswagen CEO last week, may have committed fraud. 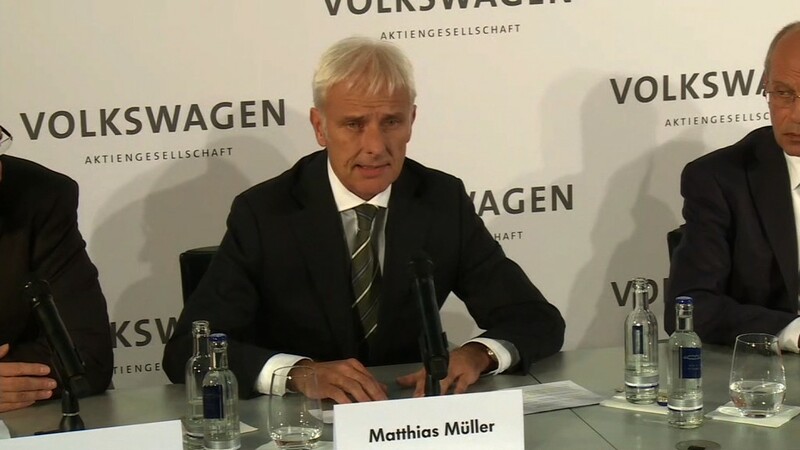 "Our plan is that Volkswagen and other group brands will present technical solutions and measures to the relevant authorities in October," the company said in a statement. "Owners of these vehicles will be informed in the coming weeks and months." Volkswagen said all vehicles were safe to drive. That's unlikely to impress customers who may have been sold a "green diesel" under false pretenses. And it's far from clear how Volkswagen will persuade them to bring their cars in for the "service measure," given concerns that engine performance or fuel consumption could suffer. Volkswagen said each brand would post more details online in each country as they become available to keep customers informed.